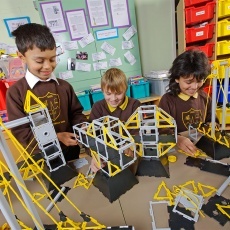 Unlock the secrets of bridge building with Polydron Bridges which gives budding Civil Engineers and Designers a chance to build and test several types of bridge designs, including some of the most recognisable, world-famous bridge constructions. 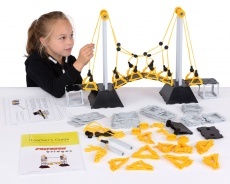 Twelve comprehensive work cards and lesson plans provide step-by-step instructions to piece together truss, suspension, cantilever, drawbridge, cablestay, swing and bascule bridges. The set will encourage and challenge children to go beyond the set shapes and to experiment with their own creations.